Mikkelsen played youth football for Bredebro IF before joining his first senior club, FC Sydvest, where he scored 11 goals in 14 league appearances. He was then signed by Vejle BK, and later played for the merged club Vejle Kolding. After a year at FC Fredericia, he signed for Danish Superliga team OB in 2014. After joining OB, he was loaned to IFK Göteborg in Sweden, Mikkelsen was an unused substitute for IFK Göteborg in their 2015 Svenska Cupen Final victory. After a successful loan spell at Vejle BK Mikkelsen was loaned back out during 2017 to Scottish Championship team Dundee United in Scotland. He scored the winning goal for Dundee United in the 2017 Scottish Challenge Cup Final, as they won 2–1 against St Mirren. On 4 July 2017, it was announced that Mikkelsen had signed a two-year deal with Scottish Premiership club Ross County. He made his debut for the club against Alloa in the League Cup. 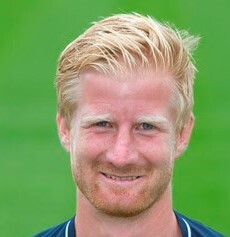 After just two league starts and seven appearances from the bench, Mikkelsen returned on loan to Dundee United in January 2018 for the remainder of the 2017-18 season.